I do most of my shopping online especially makeup and brushes. There is a new Beauty Website in town Face.co.uk which includes brands like Milani, Violet Voss, Real Techniques, Morphe and more. What I love is that orders to the UK are free 1st class delivery, if you are anything like me you will hate paying £5 for standard delivery so Face.co.uk have been amazing and give free delivery on all orders. They also ship to the EU (postage costs are added on orders to the EU). The Real Techniques Ready Set Glow Kit really caught my eye, I love how bright and colourful the brushes are and the brushes in this kit spoke out to me. It is only £19.50 which is a complete bargain for three brushes and a sponge. Targeted Blending Brush - This is described as a brush that will blend cream and liquid contour or highlight products. 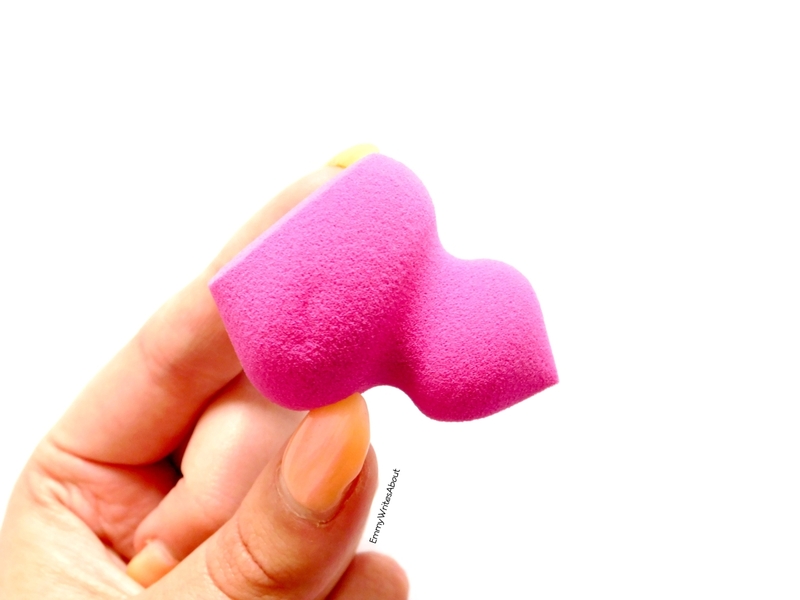 I especially love this for my cream contour. I usually cream contour slightly after applying foundation and then I apply a powder bronzer on top. 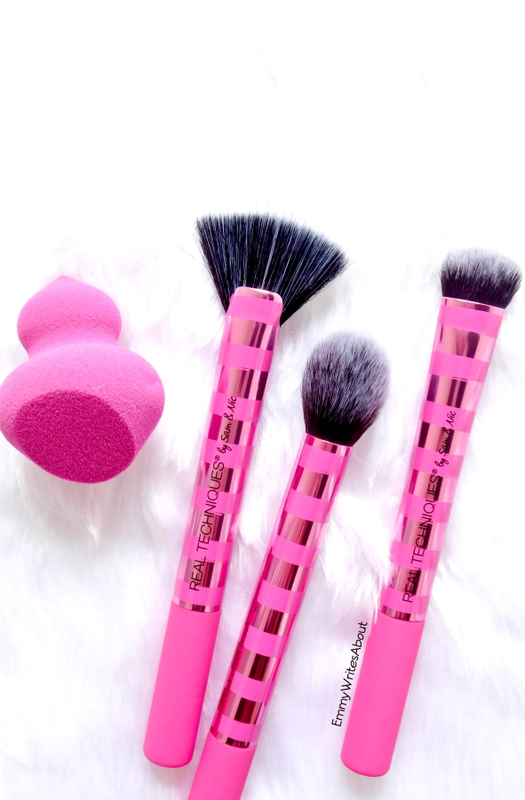 The bristles are densely packed which makes it the perfect blending tool. You could also use this to blend concealer under your eyes. 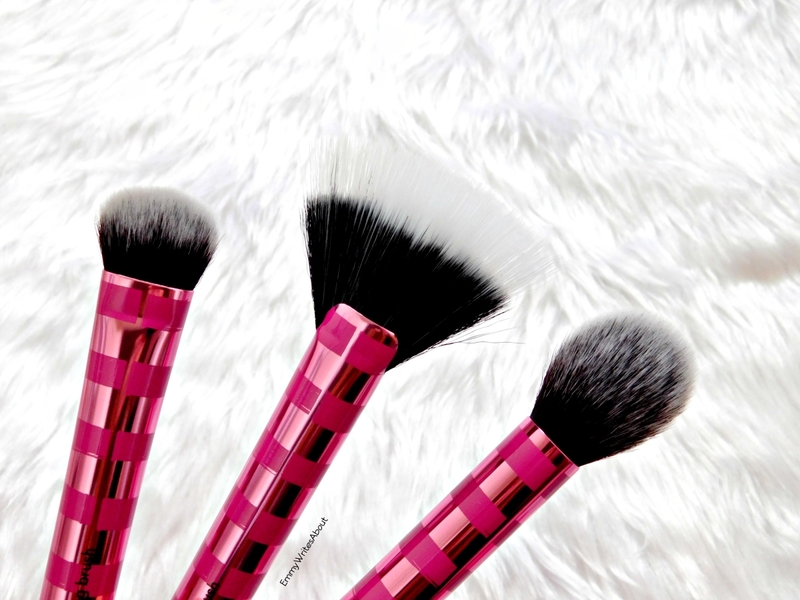 Strobing Fan Brush - This is your best friend when it comes to highlighting. It works perfectly for your cheekbones, cupids bow and nose. 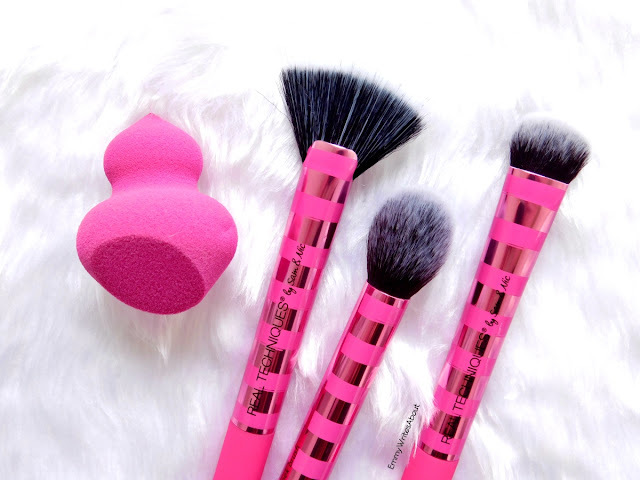 Multi Task Cheek Brush - I use this to contour with, it is the perfect size and the brush is fluffy so you can create a subtle soft contour or build it up to be more intense. Miracle Sculpting Sponge - This sponge has such a unique shape and you can use it in so many ways. I have tried it for foundation, to blend cream contour, blend concealer and to apply liquid highlighter. It is one of my favourites pieces from this kit. You can buy the Ready Set Glow Kit from Face.co.uk for £19.50! The Fresh Faced Kit is also £19.50 and comes with three brushes and six wedge sponges.